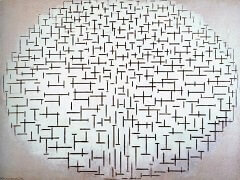 This is one of several studies of the seascape at Domburg, The Netherlands, where Mondrian sometimes summered. 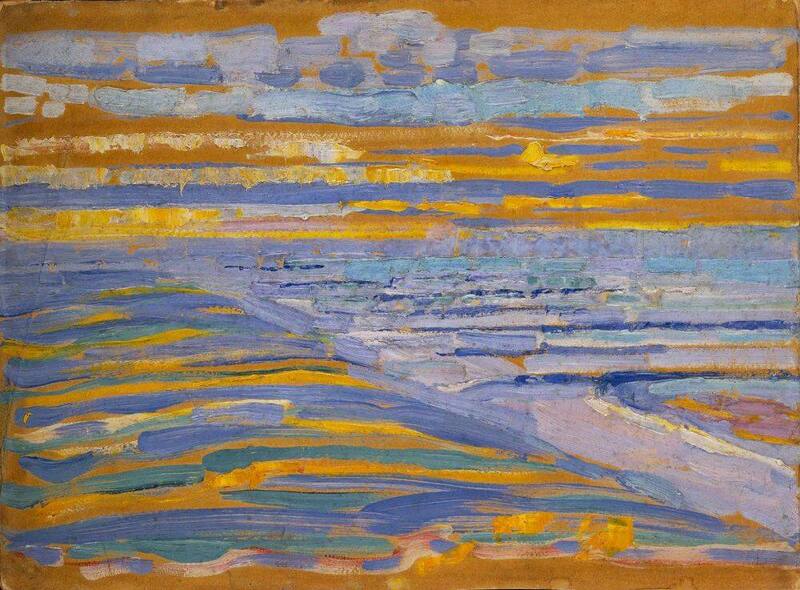 Here he offers an oblique view of the coastline, depicting dunes on the left, sea on the right, and sky above, rendered in stark orange and blue horizontals. 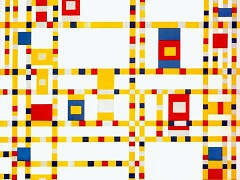 The painting's vibrant coloring and thickly applied lines demonstrate the artist's transition from an earlier naturalism to a period of formal experimentation. 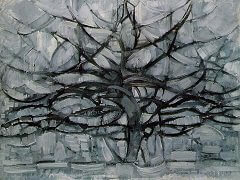 Mondrian would later recall that he had preferred to paint "in gray, dark weather or in very strong sunlight, when the density of the atmosphere obscures the details and accentuates the large outlines of objects." 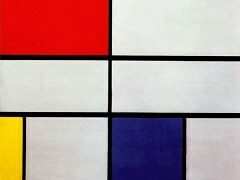 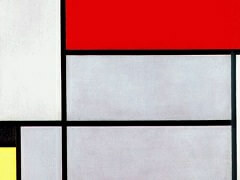 In this piece, Mondrian's style is much more fearlessly non-representational. 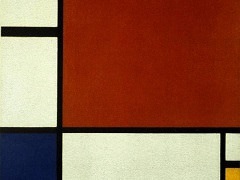 It gives an inkling as to the extent to which the artist was willing to abstract realistic forms in order to suit his own artistic tastes. 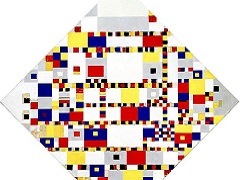 During the time this painting was created, Mondrian began developing his philosophical ideas on theosophy and anthroposophy, two spiritual movements which allowed Mondrian to see painting as a search for spiritual knowledge within oneself. 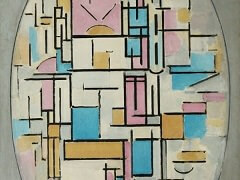 Although his earlier works depicted dim figures or abstracted colors, his search for spiritual enlightenment within and throughout his paintings was to lead through a pathway of more abstract forms.